Hey lovelies, today will gonna share my Beauty Haul from Shizens. I always heard about Shizens before, and their famous lip tattoos too. That it is popular for its lasting effect and its ability to bring out the lips’ natural rosy tones. 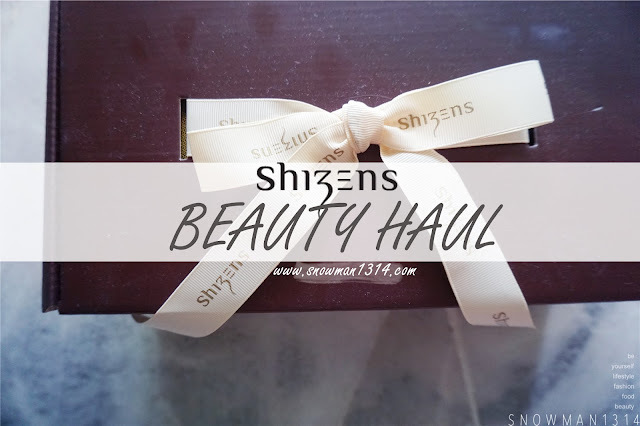 But in this haul, I managed to try out some other good products too from Shizens! 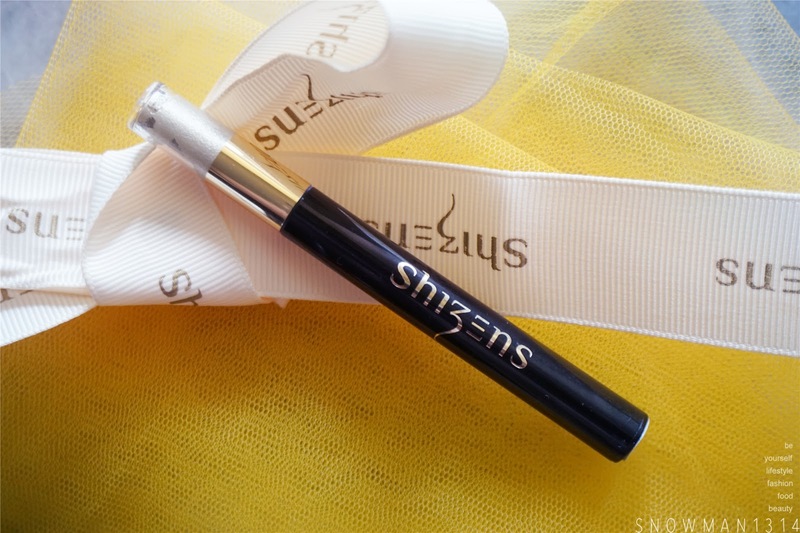 It was my first time shopping at Shizens website, I don't know that I can shop for their beauty and makeup products from their website too. It helps to save up a lot of time and online shopping is so much fun as I can expect a "parcel" from Shizens. It just makes my online shopping more fun and excited. What do I buy from Shizens.com? I manage to get myself a Loose Powder since mine was expired and Dramatic Eye Shadow. 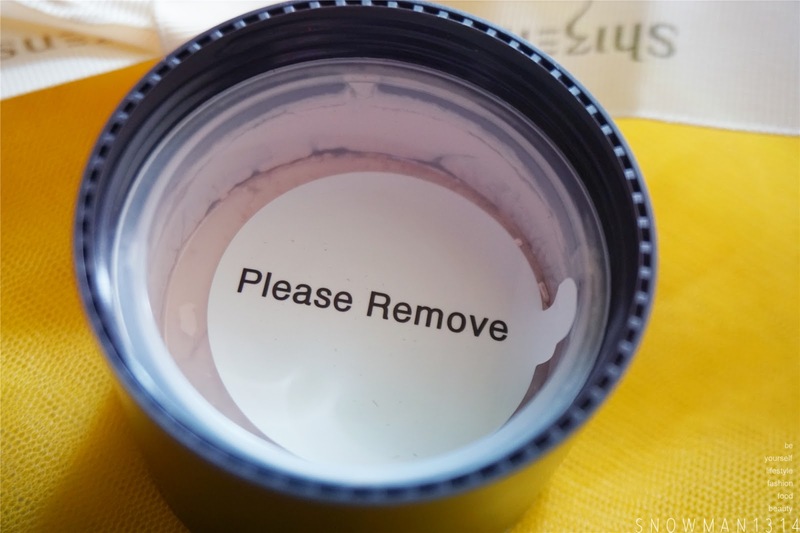 Packaging of Sheer Tint Loose Powder. Comes in rose gold glossy packaging which I really like. Comes in 13g and Made in Korea. 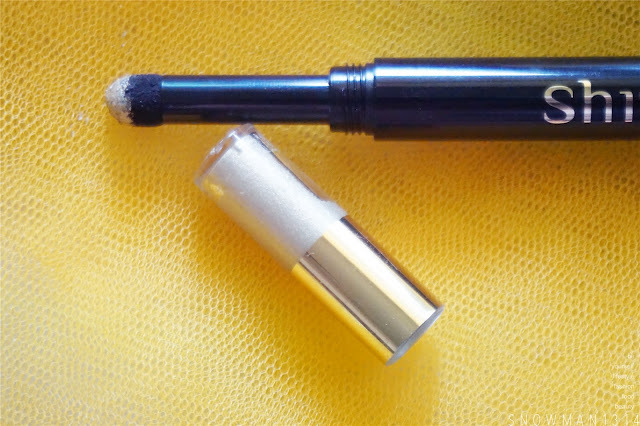 This short and round tube shape of Sheer Tint Loose Powder is really appealing. 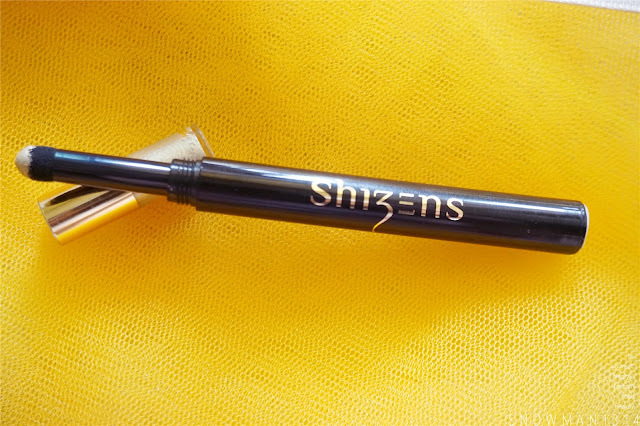 The opening cap comes in really glossy pink gold color with black color on the base and Shizens logo on the packaging itself. Upon removing the seal sticker. 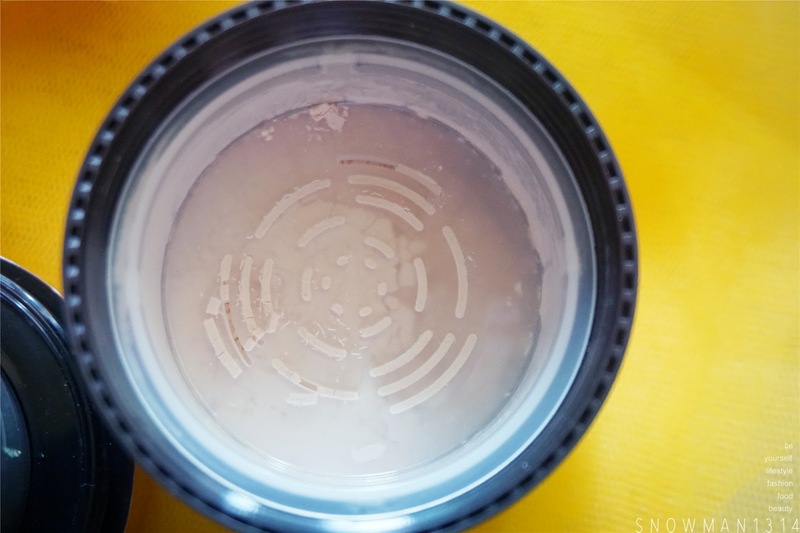 The opening for the Loose Powder. One of the reasons I wanted to buy this is because of their Matte Finish texture. 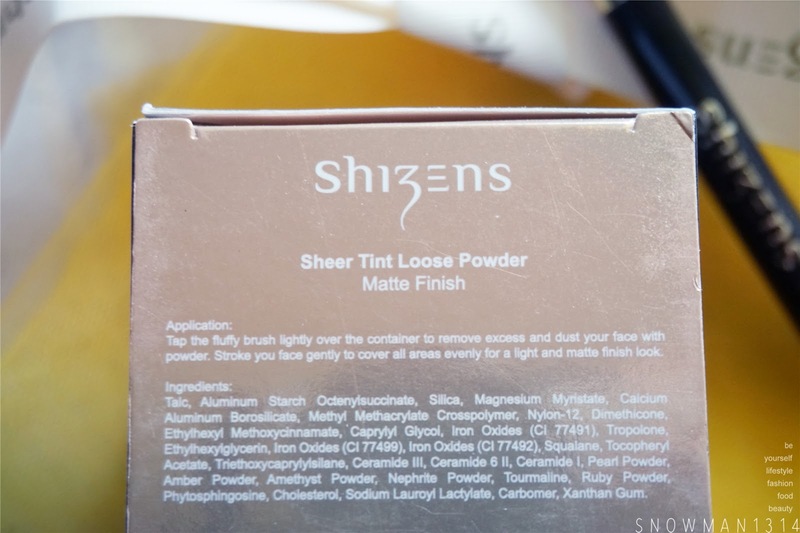 Shizens Sheer Tint Loose Powder formulation contains pearl powder which brightens the skin tone and leaves a long-lasting matt and smooth appearance. The product adheres to the skin which reduces the likelihood of your makeup smudging. 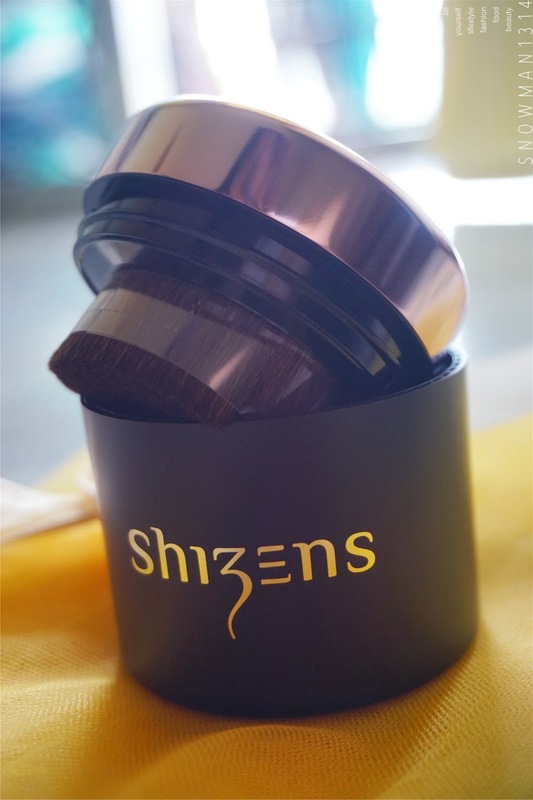 It is also equipped with a high quality kabuki brush designed to provide complete coverage during application. 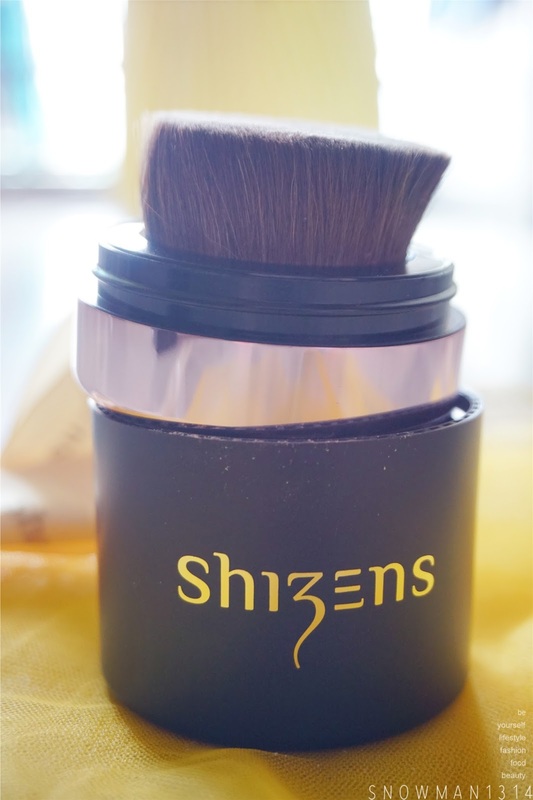 The dense and soft synthetic bristles blend the powder evenly on the skin, giving it a very natural finish. 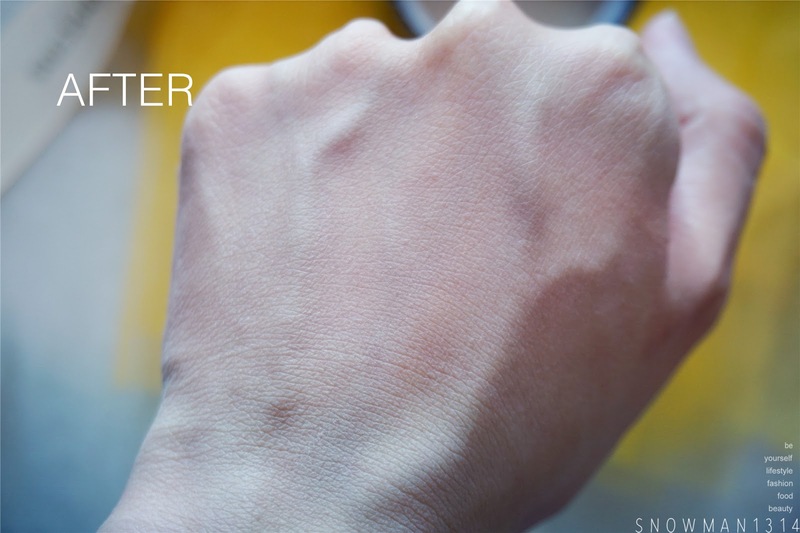 It gives a really delicate and soft texture movement for our skin, this will then prevent skin abrasion. Love the after Matte Finish application! 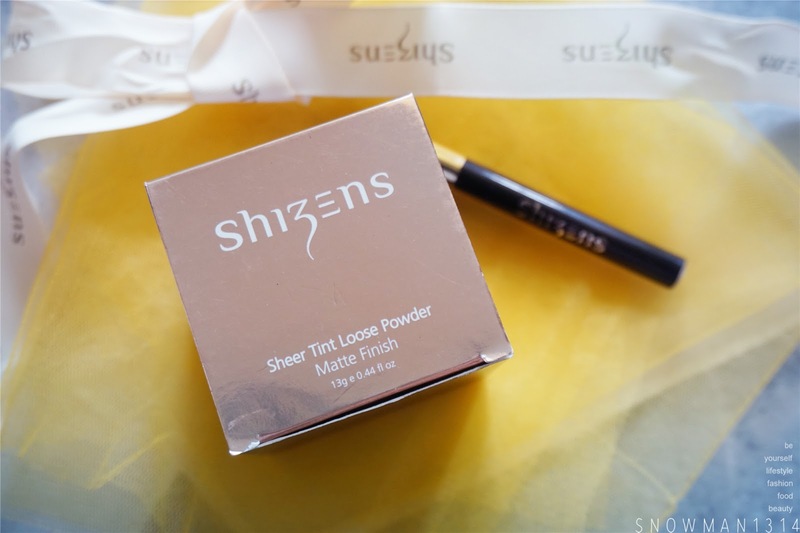 My fine line on my hands was so smooth and soft after applying Shizens Sheer Tint Loose Powder. It doesn't give cakey or dry texture but give a very clean and smooth texture after apply. My skin can easily become oily upon few hours covering with makeup and under the hot and cold weather, now I can use Shizens Sheer Tint Loose Powder to be my final step to achieving non-oily, cakey and Matte Finish look. 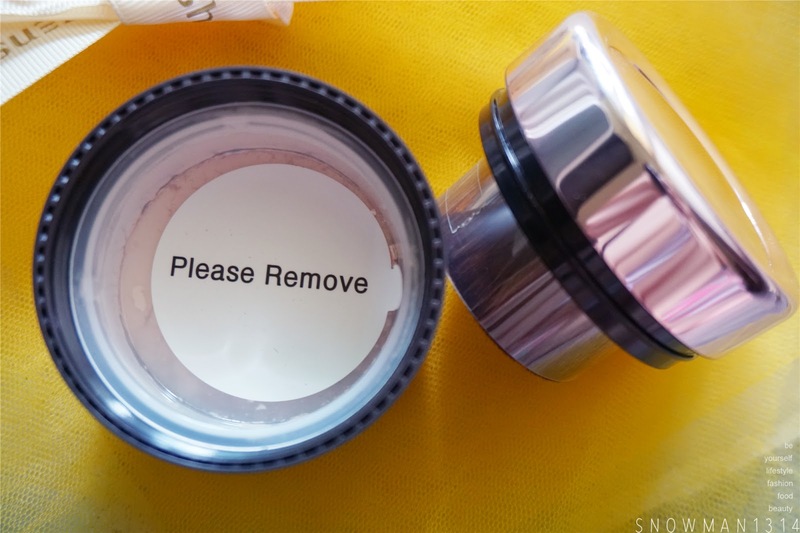 Lightly tap the brush to remove excess powder. Next is my second beauty haul product from Shizens. This Dramatic Eye Shadow is a new product from Shizens. This Dramatic Eye Collection eye shadow comes in 4 shades, Fairy Gold, Mythology, Dove Grey, and Vivid. This collection is formulated to last longer and the colors are highly pigmented. You will never have to worry about touching up frequently even if you suffer from oily eyelids. The tip comes with a soft sponge tip and color cartridge, it reduces the need to carry a brush and palette. So convenient! Tip of the Eye Shadow. 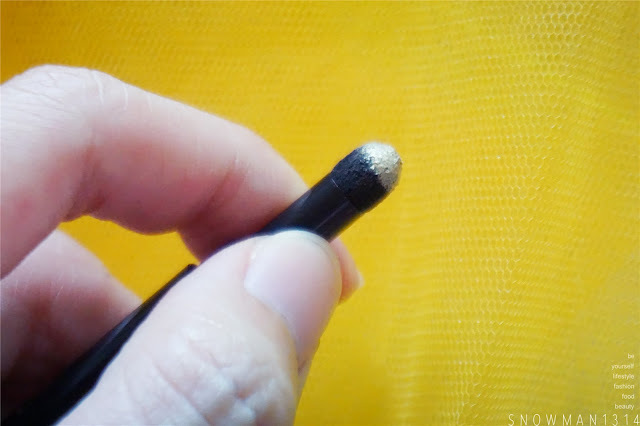 This Eye Shadow comes in spring tip where you can easily press and release. This is to pick up the color on the cap color catridge of this eye shadow. With its innovative application system, the Dramatic Eye Set comes with a refillable cartridge, which makes it hygienic and comfortable to be used frequently. Despite its petite size, it comes really handy and convenient for various occasions. 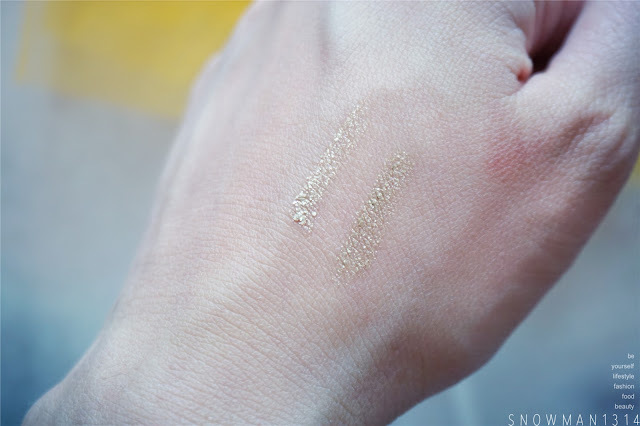 Upon the first swatch on my hand, the application is very pigmented and very easy to apply! 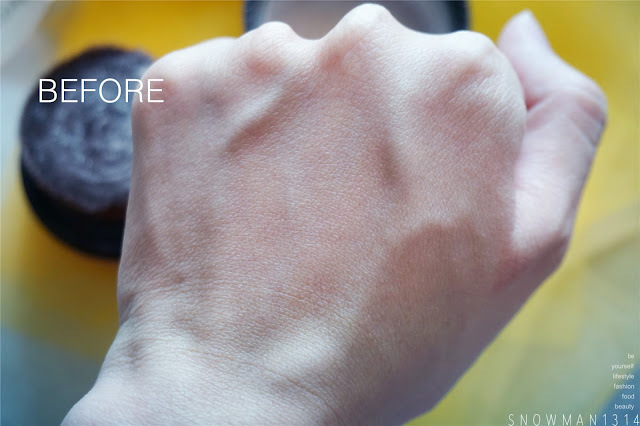 I never try this kind of sponge eyeshadow application. So I was pretty amazed by the application results. The texture was really smooth and not cakey too. Lightly sweep the color of your choice to your eyelids and eyebrows. 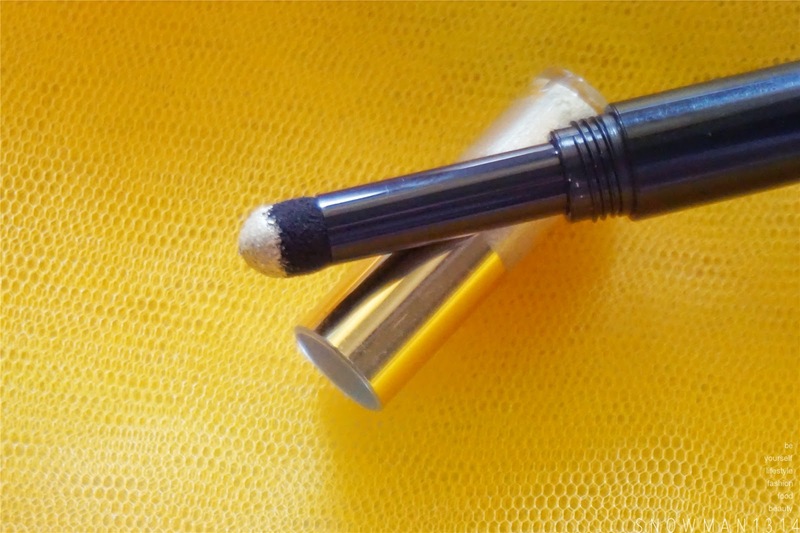 Using the eye corrector, draw along the outer edges of your shades to add more definition to your eye make-up. *Each small cartridge can last up to 120 applications! That's all for my beauty haul from Shizens. Hope you all enjoy as I do since I am really enjoy the haul I get from Shizens! The Loose Powder will definitely be my favorite products with its Matte Finish texture, it's definitely every girls need. Whereas the Dramatic Eye Shadow, I was fond by their size and handiness using this product. You should definitely try it out too. 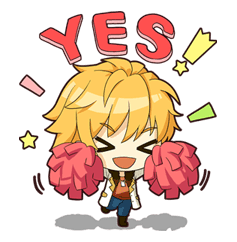 Here lastly I will share you some good deals to my fellow reader, You can use this "ESHIZENS37" to get RM50 OFF with a minimum purchase of RM200. Expire on 3rd of November 2016. 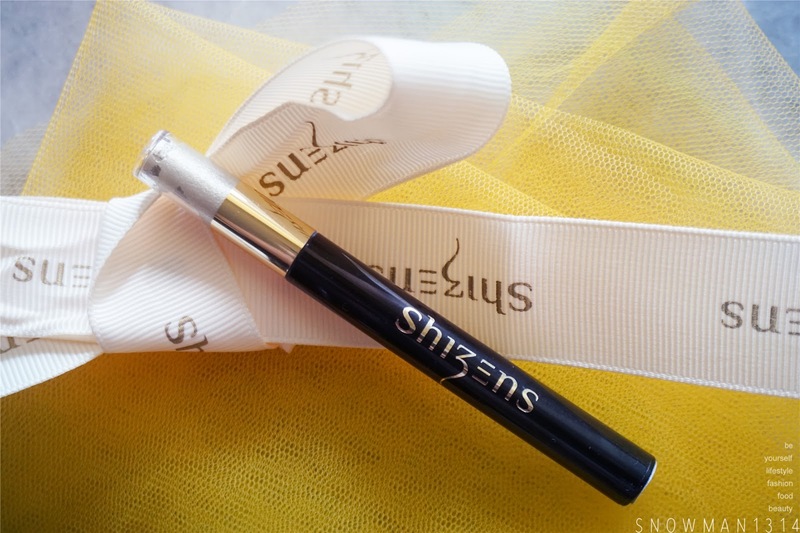 You can shop all Shizens makeup products here and skin care product here. Always heard of this brand, but dont know what to try from it. I love the packaging of the loose powder! Very convenient brush! Never heard of this brand before but sounds like it's worth giving it a try. Give it a try Cherry!! Love the eyeshadow. Wonder if the loose powder would suit dark skin. I like their skincare collection more! Did you try them before? 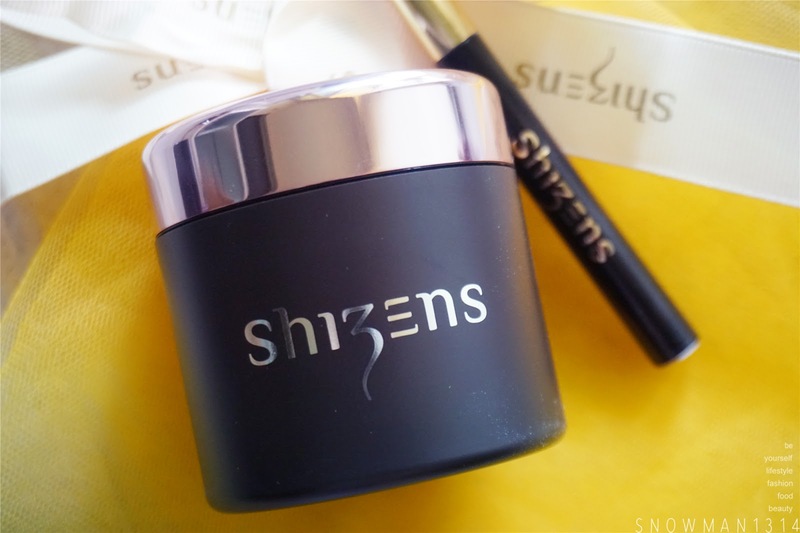 Haven't tried shizen products yet, but I've seen it many times. looks really good! Thanks for sharing your haul. 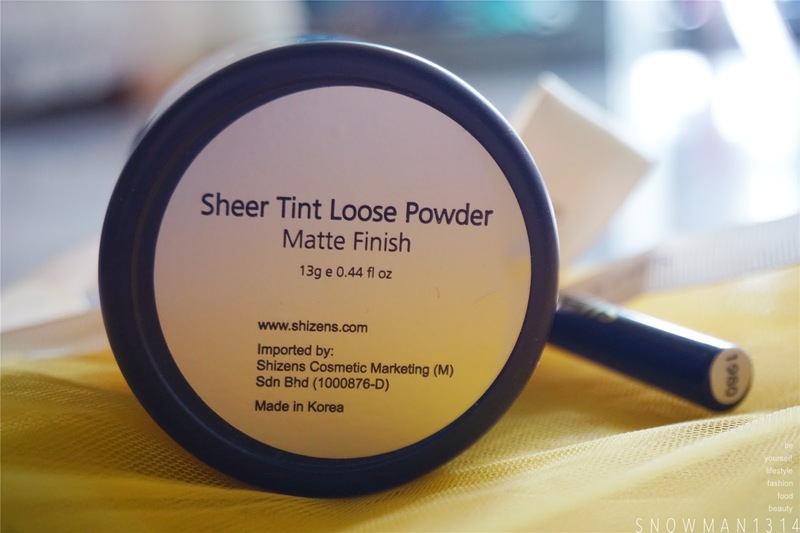 I am also interested in the matte finish loose powder. Been looking for it but kind of hard to find in Ipoh. Now can buy online. 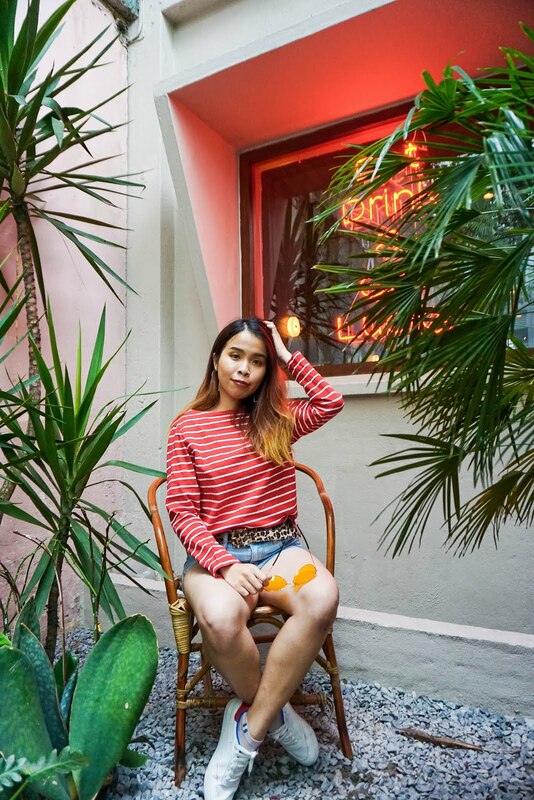 Yes everything you can now from online!! What a great haul! I would like to try their loose powder as well. I got buy the dramatic eye shadow too..Can't wait to try them! The eyeshadow looks very promising - love the pigmentation on it. Great haul dear. i nvr use loose powder, n thinking to get one. this look nice come tgt with the brush n so convenient ha! seen numerous reviews on this product brand. mostly positive remarks, must be good la. 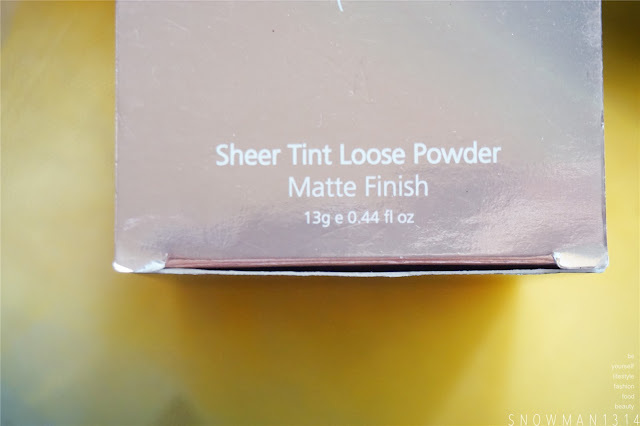 Wow I have not try their Sheer Tint Loose Powder yet. Going to their store to check it out. Yea go and try it now babe! The before and after picture looks so convincing! I'm actually considering it now. Me either =D After trying really amaze of the products result!